Over the last 10 years, the Volvo XC90 has proved to be one of the top luxury SUVs on the market. Owners have grown to love its versatile design and array of luxury features. Although most drivers will prefer the base model, others will enjoy the sporty handling of the R-Design trim. Although the XC90 does not offer a hybrid version, its fuel economy is still very reasonable when equipped with a front-wheel drive setup. The SUV’s neatly-styled interior will suit the needs of a variety of different drivers. If you have a relatively large family, the 2014 Volvo XC90 will be able to give everyone an ample amount of room. The built-in child booster seat is very beneficial for small children. When the rear seats are not being used, they can be folded flat to provide about 85 cubic feet of cargo space. Both trims of the XC90 come with a powerful 3.2-liter, V-6 engine. With a total output of 240 horsepower and 236 pound-feet of torque on hand, the SUV provides a strong on-road performance. A six-speed automatic transmission efficiently transfers the power to the wheels. In an effort to enhance the fun factor of the XC90, the transmission was also designed with a manual-shift feature. Front-wheel drive comes standard on the 2014 Volvo XC90. If you need extra traction in the winter time, you should opt for the all-wheel drive system. The vehicle’s on-board computer system automatically adjusts the amount of power that is transferred to each wheel. The towing capacity of 3,970 is more than enough for most drivers. Although the R-Design trim does not increase the horsepower of the XC90, it does dramatically improve the handling of the SUV. The sports-tuned suspension system helps the XC90 to stay well-balanced in all driving situations. The tighter steering feel makes the SUV a joy to drive on the open highway. The curb appeal of the XC90 is also enhanced by the 19-inch performance wheels and a sporty styling package. Volvo has a reputation for producing very safe vehicles. As a testament to the vehicle’s strong chassis, the Insurance Institute for Highway Safety chose the 2014 Volvo XC90 as a Top Safety Pick. Prospective buyers can also equip the XC90 with other safety features such a rear-view camera and blind-spot monitoring. The brake assist feature is very effective in emergency situations. Unlike some of the top-heavy SUVs on the market, the XC90 is not very prone to experiencing a rollover. The XC90 is designed to provide the optimum level of passenger comfort. Drivers who experience cold weather will certainly appreciate the heated front seats. If you have children, they will find the available rear-seat entertainment system to be very useful. The adaptive xenon headlights provide the optimum visibility when traveling in the darkness of the night. Even the base model comes standard with leather upholstery, parking sensors, and a sunroof. Although the fuel economy of the 2014 Volvo XC90 will not wow most people, it is still fairly respectable. Considering the fact that the XC90 can haul up to seven passengers, the overall fuel efficiency will be very livable. Families that love traveling will find the gas mileage to be suitable. When it comes to build quality, the XC90 is among the best in its class. Even after five years of being on the road, the SUV should still drive like new. Its upscale design and solid build quality are two of the reasons why the resell value remains so high. The exterior design of the 2014 Volvo XC90 has aged very gracefully over the last decade. 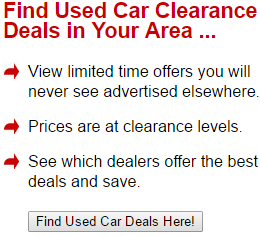 This is a major advantage to the drivers who have intentions of keeping their SUV on a long-term basis. Although minivans are great for some people, there are others who find them to be less than desirable. The rugged design of the XC90 is perfect for the drivers who occasionally travel on off-road trails. The 2014 Volvo XC90 only offers one engine choice. Although the standard V-6 engine is a very capable performer, some people may prefer the extra potency of a turbocharged engine. On the other hand, a four-cylinder engine would likely offer better fuel economy. The Volvo XC90 does not currently offer a hybrid version. Unfortunately, some drivers may find the fuel economy to be a tad bit too low. A hybrid version would give potential buyers a very efficient alternative to consider. Although the navigation system in the 2014 Volvo XC90 works well, some people may not like its flip-up design. In the eyes of some car shoppers, a traditional display screen would be more convenient. 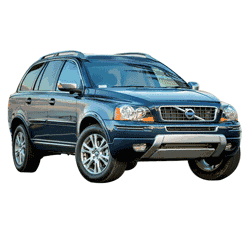 If you are seeking a versatile SUV with a great safety profile, the 2014 Volvo XC90 is certainly worth a test drive. The available R-Design trim is recommended for the drivers who crave car-like driving dynamics.